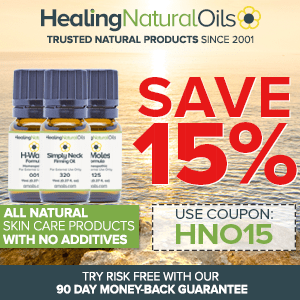 Essential oils – you’ve probably heard of them by now (unless you’ve been stranded on a desert island), as they seem to be popping up in nutritional journals, blogs, television commercials, and multilevel marketing meetings all over the country. With the dizzying amount of hype and chatter surrounding these plant-based substances, it can be easy to confuse noise with signal in terms of what essential oils actually are, and what they can (and cannot) do. 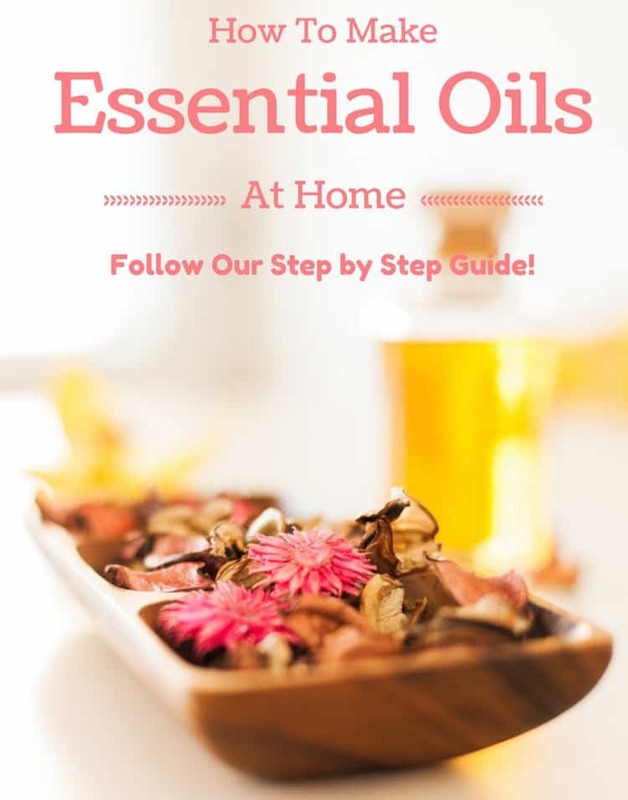 Below is an introductory guide into the world of essential oils, so that you can gain a better understanding of what they’re all about. The history of aromatherapy predates written history, going back thousands of years to the most ancient civilizations. Egyptian hieroglyphics and Chinese manuscripts dating back thousands of years showed priests and physicians used plant-extracted essential oils, making aromatherapy the earliest known medicine. In these civilizations, combinations of resins, oils, and fragrant plants were used in some form for ceremonial, medicinal, or pleasurable purposes. Undeniably, perfumes and aromatic plants were the basis for the establishment of many of the early trade routes. Below, you are about to discover the world of essential oils – NATURE’S pharmacy to mankind for vibrant health and healing. Interestingly enough, one of the first things that might surprise you about essential oils is that they’re not actually oils at all, at least not in the traditional sense. They do not contain fatty acids, nor are they derived from any type of petrochemical. Instead, essential oils fall under the category of “volatile oils”, having a liquid form and somewhat of an oily feel, but without the super-greasy qualities. They are derived from plant substances of all kinds (e.g., leaves, roots, bark, flowers, blossoms, stems, etc. ), and are created by way of an extraction process that produces a highly concentrated oil (more on that later). Over 3000 plant species produce essential oils, but only about 300 of these are currently commercially produced. One thing that definitely deserves to be mentioned is that essential oils are nothing new – they were regularly used in ancient times (the Bible makes frequent mention of them), and the various traditions and practices surrounding their use have been passed down from one generation to the next for thousands of years now. There are dozens and dozens of different types of essential oils on the market, but some of the most common examples are lavender, peppermint, lemon, tea tree and eucalyptus (just to name a few). The actual number of essential oils on the market continues to expand every year, as more and more plants are being researched and processed to create these ultra-potent oils. Ah, this is the fun part! Essential oils have been lauded for their many interesting characteristics, which include having strong antibacterial, antiviral and anti-fungal properties. For this reason, essential oils are commonly used in various household cleaning products (lemon and grapefruit are favorites for this purpose). Further, similar to how George Washington Carver managed to derive hundreds of different uses from the peanut, essential oil enthusiasts are discovering more and more ways to use these amazing natural potent substances every day. There are all kinds of health and personal care products (body, hair, skin, etc.) out there that contain essential oils, including shampoo, soap, lotion, toothpaste, deodorant, facial cleansers, moisturizers, and various nutritional supplements. Another very popular use for essential oils is in conjunction with the practice of aromatherapy, where the fragrances of the oils are used to enhance your mood, boost concentration, relieve stress, and bring an overall sense of balance and harmony to your body, mind and spirit. It should be noted that since essential oils are all-natural substances, they cannot be patented, which precludes them from being incorporated into any type of pharmaceutical drug. This is one of the reasons why major pharmaceutical companies won’t spend any time or money researching essential oils. As a result, precious little research and study has been performed on them. Nonetheless and as mentioned earlier, these oils have been used for thousands of years to cure various health ailments and therefore live up to their reputation as healing and therapeutic agents. The average essential oil enthusiast including myself, swear by their use, and for many people, essential oils represent a departure from dependence upon synthetic substances in favor of natural alternatives in order to maintain their health and well-being. How Are Essential Oils Extracted? Essential oils are highly concentrated extracts and should not be confused with infused oils, tinctures and infusions which draw only the volatile components from the plant. The choice of method for extraction is important, as it will influence the quality and therapeutic value of the essential oil. Each method of extraction gives a different product. Extraction is a painstaking process as the amount of essential oil may be minute – huge quantities of plant material are needed for small amounts of essential oil. This factor explains the variance in the cost of essential oils. Water Distillation – This method involves placing the plant material into boiling water, and then capturing and separating out the steam and oils in order to produce the final product. Clove is an example of an essential oil that is typically extracted using water distillation. Water/Steam Distillation – This method involves pushing the steam and water around and through the actual plant material. The steam and oils are captured from this process, and then separated out in order to produce the finished product. Nutmeg is one common example of an essential oil that is produced using this method. 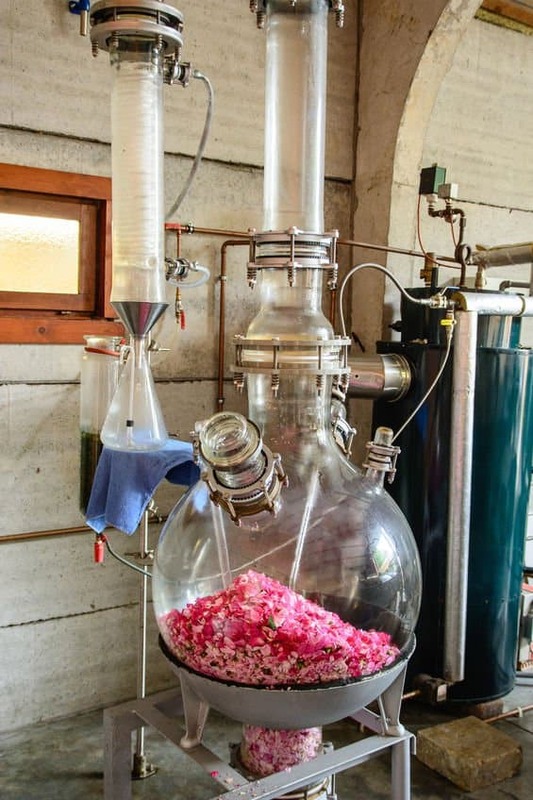 Straight Steam Distillation – This method is as it sounds, utilizing pure steam by pushing it through the plant material in order to collect the essential oil. One common essential oil that is produced using this method is lavender. Now How Exactly Do These Extraction Methods Work? Without getting into too much mind-numbing technical detail, the bottom line is that the steam is used in order to rupture or break up the oil membranes in the plant material, which releases the essential oil. After that, the steam basically carries the essential oil into a condenser where it re-liquifies, and when this happens, the essential oil – being lighter than water – floats on top. At this point, the oil is separated out from the water, producing what we know as essential oil. Now one thing to keep in mind is that this process will not be the exact same for every single type of plant material. As you can imagine, it’s probably going to be more difficult to extract essential oil from a hard piece of bark than it would be from a delicate leaf. Not only that, but the type of plant being used will play a part in how the distillation process might need to be adjusted in order to extract the oils from the plant material. Variables such as time, temperature and pressure will all need to be tweaked and customized in order to accommodate the particular plant material being processed. Also known as “expression”, cold pressing is the primary method used to extract oils from citrus fruits such as lemons, oranges, grapefruits, limes, tangerines, bergamot and petitgrain. Using cold pressing, the oils are mechanically separated from the peels and rinds of the fruit, and as the name implies, it does not involve any heat or solvents. To get a little technical about it, these types of oils are not fully considered to be “essential” oils due to the use of this method, but they are still regarded as therapeutic oils nonetheless. The cold pressing process produces a pleasant aroma that is the equivalent of smelling a fresh citrus peel, which is why these types of oils in particular are wildly popular in the aromatherapy world. Whether you’re talking about steam distillation or cold pressing, one important thing to remember is that it takes an enormous amount of plant material to produce only a small amount of essential oil. Just as an example, it takes 100 pounds of lavender plant material to produce just one pound of lavender essential oil. On the more extreme side, it takes no less than 4,000 pounds of Bulgarian roses (and their associated plant material) to produce just one pound of Bulgarian rose essential oil! This should give you an idea of just how highly concentrated and potent these essential oils really are. Learn More About How L’orpur Single Essential Oils Are Extracted? So how exactly do essential oils work? How do you use them? Essential oils can contain hundreds of organic constituents, and other natural elements that work on many levels. They are 75-95s times more concentrated than the oils in dried herbs. As mentioned earlier, essential oils can be incorporated into a wide range of health and personal care products, and they are commonly used in the practice of aromatherapy as well. Due to their highly concentrated nature, I would not recommend that you ingest them (except with medical advice), nor is it recommended for you to apply them directly to the skin unless they have been diluted with a carrier oil, wax, butter, etc. Many people use them in their personal care routines such as adding a few drops to a warm bath, or during massage therapy (diluted with a carrier oil, of course). Perhaps the most popular use for essential oils is via the practice of aromatherapy, which basically means that you breathe in the vapors or aroma of essential oils in order to derive various therapeutic benefits. This is a device (powered by electricity) that diffuses essential oil into the air through heating it until it evaporates. This gives off a fine mist or vapor in the air that you can inhale, which many people claim can create a sense of calm, relaxation, improved mood, and relief from anxiety. Essential oil enthusiasts including myself commonly have diffusers placed all around their home, much like you would do a jar of potpourri or a plug-in air freshener, in order to infuse the air with the pleasant aroma of their essential oil of choice. Diffusion is the primary method used by people who practice aromatherapy. This method involves placing a few (or several) drops of essential oil onto a cotton ball, tissue or some other type of absorbent material, and then allowing the oil to evaporate into the air. For example, you might place a handful of these essential-oil-laced cotton balls into a bowl, and then keep it on your desk near your computer. This method involves adding a couple of drops of essential oil into a bowl of very hot (steaming) water, and then placing a towel over your head as you bend down into a position where your face is over the bowl. At this point, you inhale the steam, which will have the aroma of the vaporized oil. This method is sometimes used to help people overcome sinus issues or upper respiratory infections. It should be noted that this method is very potent (yet extremely effective), which is why it is highly recommended that you keep your eyes closed as you inhale. This method involves adding a few drops of essential oils into a water/witch-hazel based solution inside of a spray bottle. Once the mixture has been thoroughly shaken up, you spray the solution into the air (tip: don’t use the “stream” setting on the bottle) in order to saturate the air with the pleasant aroma of essential oils. You might be wondering what the difference between essential oils and carrier oils is, so here’s the deal: Essential oils do not contain fatty acids, while carrier oils are primarily comprised of the fatty elements of a plant, such as the kernel, seed or nut. In addition, essential oils will naturally evaporate, while carrier oils do not. Some of the most common carrier oils used by essential oil enthusiasts include olive oil, almond oil, avocado oil, coconut oil (fractionated), grapeseed oil, jojoba oil, peanut oil, rosehip seed oil, sesame oil, and sunflower oil. It should also be noted that carrier oils can turn rancid over a long period of time, but essential oils do not. Instead of turning rancid, essential oils will oxidize over time, which means that they will increasingly lose their potency and therapeutic benefits. Essential oils, which have a very powerful aroma, are often mixed with the much more mildly scented carrier oils before applying them for various uses. To learn more and everything about carrier oils, click here. It is important to point out the fact that essential oils are not the same thing as fragrance or perfume oils. This is a common misconception, because they are used in very similar ways. The biggest difference between the two is the fact that essential oils are 100% natural, being directly derived from an organic plant source, with no additives or other elements introduced into their composition. Fragrance oils, on the other hand, are primarily synthetic, and are typically created in labs in order to mimic a certain floral or natural scent. To be fair, there are some natural, plant-based fragrance oils which are comprised of highly diluted essential oils and a carrier oil, but, they do not carry the same therapeutic benefits as are found in essential oils. As discussed above, essential oils are obtained from plants usually through a process called distillation, where selected plant materials are heated with water (or steam, or both) so that their volatile components are released from the plant. The components vaporize and are then present in the steam. The steam/vapor then condenses back to a liquid state. Due to differences in density, the essential oil separates from the water. The separated water contains water-soluble essential oil components and is termed the hydrosol. Essential oils are highly volatile, which means they evaporate quickly. Essential oils will not leave a residue on blotting paper. This procedure is one way to make sure you have an authentic essential oil. Fragrance oils will leave oily, greasy marks behind. A few are soluble in water. They are soluble in other oils. They are volatile, some more than others. They will oxidize over time, so keep your oils well sealed to avoid loss of properties. They will polymerize if left in bright light, so again store your oils in dark glass bottles to avoid loss of benefits. To see my choice of the most authentic and best essential oils and why I use them, click here! There is nothing more important than being safe when it comes to using essential oils as they are highly potent substances, therefore please read the following guidelines carefully and keep them handy for ease of reference. Essential oils are not to be taken internally except on the advice of a qualified health or medical practitioner. If poisoning occurs, get medical assistance immediately. Do not exceed the recommended doses. With these potent oils, more is not better. Use less rather than more and, if necessary, gradually increase the amount applied. Store essential oils away from sunlight – ideally, in a cool, dark place. Do not use, or store, essential oils near open flames. Keep essential oils out of reach of children. Keep away from the eyes. If contact is made, splash the eyes with tepid water. If a burning sensation occurs, seek medical advice. Pregnant women should consult their medical professional before using essential oils. Do not use essential oils in the first trimester of pregnancy. Discontinue use of essential oils if skin irritation or skin sensitivity occurs. We recommend doing a skin patch test prior to use. If you have any questions or concerns, consult a qualified healthcare professional or certified aromatherapist before using essential oils. This brochure is provided for educational purposes only. It is not intended to diagnose, treat, cure or prevent disease. The reader/ user assumes all risk, liability and responsibility for the use of essential oils as outlined in this brochure. Avoid citrus essential oils for 12 hours before or after exposure to UV light (daylight or sun beds). Essential oils should never be used undiluted on the skin unless using lavender or tea tree for insect bites, burns, or tiny wounds. In your eyes: All essential oils, even when diluted, will cause stinging if they get into the eyes. If this happens when using essential oils in a bath, flush the eyes with clean, warm water or full-fat milk. If this does not alleviate the stinging and irritation, then seek medical advice. Undiluted essential oil on your fingers: Remove by gently scrubbing with a strong solution of dishwashing liquid. Do not rub your eyes if you have essential oil on your fingers. Oils that tend to persist on the fingers for a long time and which can cause extreme eye irritation include cinnamon. Undiluted oils on other parts of the body: Remove by washing with warm soapy water. Dry the area thoroughly, and apply a soothing cream. Poisoning: If poisoning from essential oil ingestion is suspected, either phone a medical practitioner or take the person to a hospital emergency section. If the person is showing severe signs of poisoning, such as loss of consciousness, phone an ambulance. Whoever you speak to will want to know what was ingested, and how much. Do not try to induce vomiting yourself, unless advised to by a medical professional. 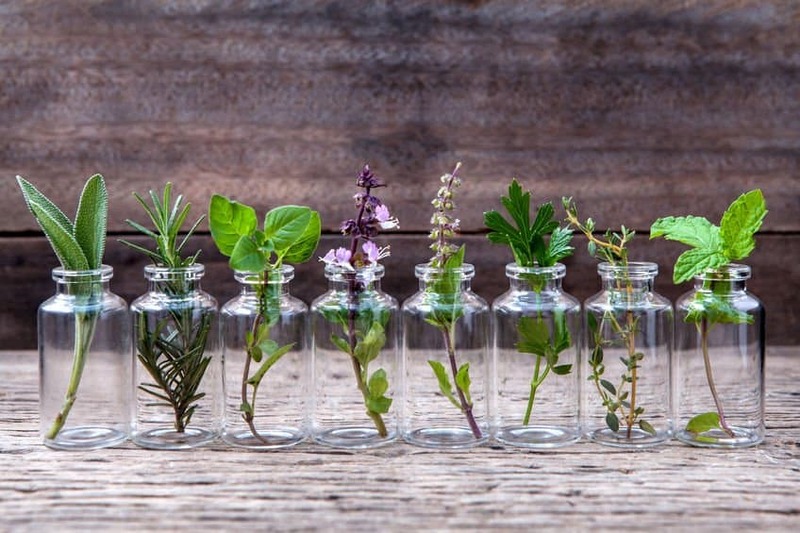 So there you have it – a primer on essential oils. There are dozens of other subtopics that I didn’t get a chance to cover in this article, but the bottom line is that essential oils are a burgeoning trend that looks to point people in a healthier, more natural direction. As with anything else, be sure to do your homework before using essential oils, so that you can be sure to derive the maximum benefit from these amazing natural substances in the safest and most effective manner possible. There’s over 100 posts on essential oils on my blog that you can refer to, including beauty, headaches, pain relief, sleep and various other ailments. Enjoy! How To Make Essential Oils? Can You Use Essential Oils On Cats? You have a link stating Lo Pur is best EO company but then in a comment you say you use RMO. I was just curious which on you order from the most. If you check the L’orpur range, there’s only 5 single EOs (lavender, peppermint, eucalyptus, tea tree and lemon). The L’orpur range is organic and the quality is excellent. RMO, on the other hand, has almost every single EO you can think of. Hi, I am new to essential oils so I am still a little bit confused. What is the best way to use the oils – should I apply it directly to my skin – and if so – are there particular places I should put the oil for certain things? At the moment I am using blends like harmony and peace and I tend to put them on a tissue inside my bra or a dab behind my neck. Just not quite sure if I am using them correctly or not. Thank you. I trust I have answered your questions, if you need additional help, just shoot me an email. I applaud your newsletters and the information you provide though it must be said I was deeply saddened by this one. Contrary to your claims you are adding to the noise and degrading the signal in this article in places. Specifically the over prominent warnings (aka discouragement) about the use and consumption of essential oils. The effect is to describe a situation akin to using gasoline in a gas fired kitchen. This is not the case, essential oils can be used neat in most cases and a number can be consumed without poisoning yourself. I am yet to meet anybody who has any reaction to the application of essential oils applied neat albeit used primarily in a anti histamine role. I use a few essential oils to give food flavour and for medicinal purposes without other than positive effects. I am also given to understand that essential oils are used as flavouring in some commercial applications. Here’s a tip, suffering the early stages of oesteoarthritus then a drop or two per day of black pepper essential oil is something you won’t regret. As a normal person it shits me to tears that a few abnormal people dictate what is available to me, like the peanut ban on aeroplanes some years ago. If people are to stupid not to know they have certain sensitivities by the time they are an adult well that’s just to bad. We all have our crosses to bear, mine is an autistic child. It’s the same story for abuse, if instead of a drop or two you consume a whole bottle then again, to bad you deserve the consequences. The real story, the signal you speak of is, essential oils can be very effective at minimising the setbacks that life throws at you and can be used in a wide variety of ways. Further, to get some signal out there, the discussion should be on what is a good dilution ratio rather than just don’t use it neat as that is not universally true in my opinion. Again, same for the consumption of these oils, sure I would not recommend consuming camphor oil but orange? Orange essential oil is made from orange rinds, these are not toxic. So the discussion should be on what oils are safe to consume and for what purpose rather than a blanket ban. Thanks for your very long comment. I agree that some essential oils can be used neat (tea tree and lavender are examples). However, I don’t advocate them being used neat as some people may have reactions to them, so better put a warning sign up just in case. Similarly re the consumption of essential oils. In most cases, I don’t know people’s underlying health conditions, therefore I don’t advocate the ingestion of essential oils just in case it causes further health complications. I hear you and there are more articles coming up about dilution rates of essential oils. I am not so sure whether I want to cover which essential oils are safe to consume internally, I will mull over that one. I really appreciate your opinion and for taking the time to write to me. Take care. thank you for your measured response.I would like to give some reasons for the points I raised. The starting point for my reasoning is that there is very little hard data or research around that is easily accessible to, at least, people outside the trade. A few years ago if you had spoken to me about essential oils it would bring up images of 60’s hippies in a drug induced near coma with incense burning in the background. Then a few years ago I had the misfortune of an autistic child. So great did my wife and I find the trials of living with an autistic child that I embarked on a mission to find something that made all our lives more bearable. What I found was Vertiver and it had a very noticeable positive effect. I thought to myself, hell this works and I then decided to research essential oils. It is during this process that I ran into all the noise about essential oils. It is how I know how confusing most of the readily available information is so confusing and in many cases contradictory. It took me a considerable amount of research to discover that some oils are in fact safe to consume orally but the effort it took was very substantial. Back to the black pepper oil, if I don’t take it for 2 days the entire household knows because pretty much whenever I move my leg my knees pop and click. So this is a repeatable and provable benefit of consuming this oil. It is, I would argue, a fact. Now the noise I am speaking of hides that fact. I also think I understand the concerns you have, 1, legal issues around prescribing anything that could be construed as medicine or medical advice especially in the case of some adverse reaction; 2, your own high levels of ethics where your own beliefs may not be supported by hard facts (through lack or research rather than anything else). So the question boils down to, do i potentially help tens (or possible hundreds) of thousands of people with arthritis or mislead them through silence to not investigate a very beneficial relief which is considerably cheaper than many other remedies. For me the price has gone from $1,200 per 4 months to $320 per year (approx). All I am asking is that you make people aware that, at the least, you are aware that people do take some oils internally with no side effects or ill effects to their great benefit. So it’s not even a recommendation rather a statement of fact. To be totally honest consuming black pepper oil is most akin to eating asparagus, a little smelly. The effect of this is to open/keep open a door for people to pursue some relief for whatever problem they have. This I believe is cutting through the noise. Let’s take vertiver again, it does not cure the problem but what it does do is take the edge off their attacks, greatly improving household harmony. This statement cuts through the noise, it tells you exactly what to expect, though how to use it is not mentioned. The other area which needs some work I feel is the separation of benefits of essential oils into 3 categories, 1. medicinal, 2. skin care and 3. mood altering. I feel that over emphasis of categories 2 and 3 and many, I feel, unrealistic claims that crowd the message that these oils can be of great therapeutic value. The thing is there are therapeutic uses I have not mentioned and no doubt a great many more I have not heard of but they are real. Thanks for your sharing your very encouraging experience with essential oils. As always, it is a pleasure to read and publish your comments. I don’t dispute any of the facts that you have presented and appreciate your views on the ingestion of essential oils. If I may add, I also have a few drops of my own certified organic lemon essential oil in my warm cup of water every morning. All the best and looking forward to you sharing some more information with us all. Re the pregnancy guideline, does ‘not use’ include diffusing as well? or just topical application? You can diffuse during the day in a living area for example. I would rather avoid diffusing at night in the bedroom. Best to avoid all topical uses during the first semester.